The wonderful world of Zoe is what I hope to share with you all here on my blog. Life isn't always easy, but then that's the case whoever you are. But no matter what each day brings I always try to start and end it with a smile - to look back and know I controlled my day, the day didn't control me! 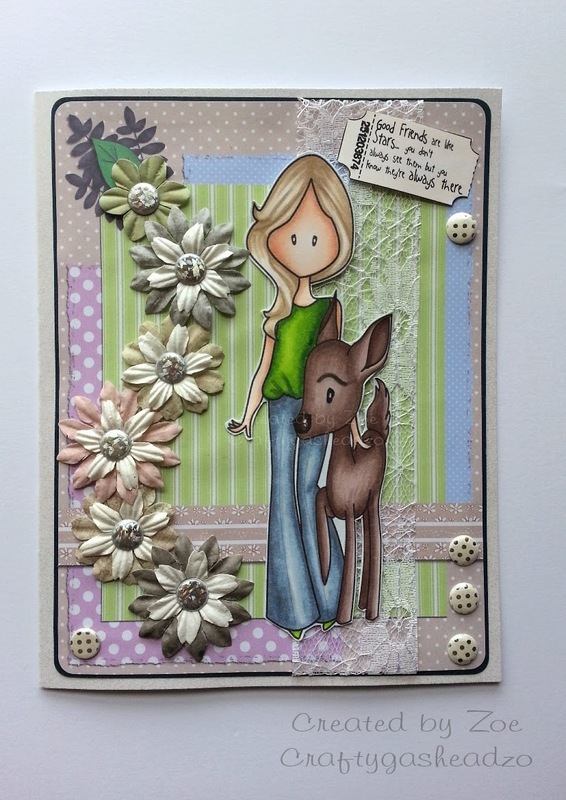 It's Tuesday which means it's Digi Choosday challenge day so pop over to see the details of our latest challenge theme and to see my fellow DT's inspiration. Plus there's always a special offer especially for you on a Tuesday. There is also our Facebook page where we all pop in and out so feel free to shout if you are after a certain image or even if you want to ask how to use your digis in different ways. 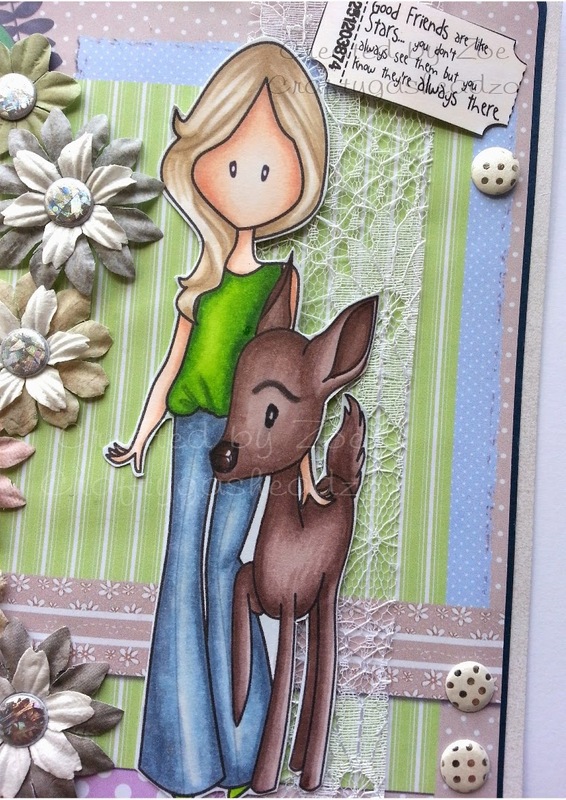 As soon as I read the challenge theme I knew I wanted to use the Emma Canning - Deer Friend image which I coloured with a mix of markers. The image is perfect for many an occasion. I created the background using papers and elements from the Animals/nature bundle which I took into Craftartist to digitally layer and edge. I added some lace and flowers with Candi to the project to finish it off. Hope you like my card and feel inspired to join in! This is so sweet Zo, love this image. Thanks for sharing at Hobbycutz this week. 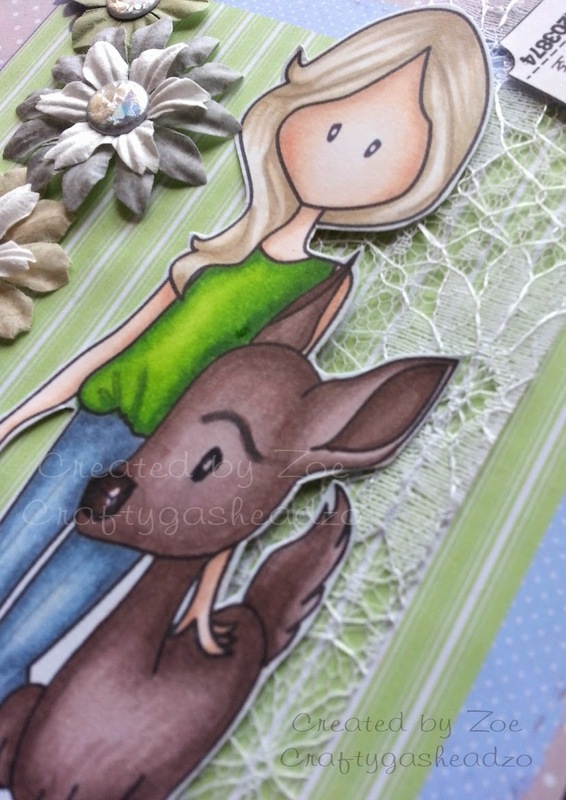 Hi Zo, lovely cute card and love the trail of flowers along your card. Thankyou for joining in with us at That Craft Place. Good Luck and hope to see you again soon. My name's Zoe, I'm 42 and I live in Somerset. I'm a reader, a writer and a crafter. Anything creative really interests me. I also support Bristol Rovers and am the Secretary of the Official Bristol Rovers Disabled Supporters Association. I have Scoliosis, Ehlers-Danlos Hypermobility Syndrome, POTS & Fibromyalgia. But most importantly I'm a mum, the best job in the world. I'm lucky enough to have a wonderful son to be very proud of! Bristol Rovers No 1 Fan! Handcrafted Floral & Paper gifts! The only place to learn to colour properly! This is who I have all my nails etc done with! What's on Your Work-desk Wednesday! Creative For you by Zoe Kirkby. Picture Window theme. Powered by Blogger.